One game reached a 47-percent increase on high-core count Ryzen Threadripper CPUs. 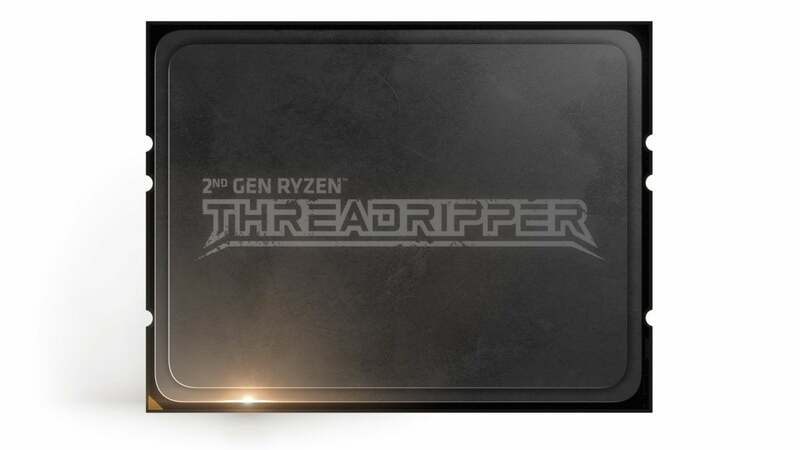 If you're lucky enough to have one of AMD's high-end Ryzen Threadripper CPUs 2990WX (or the soon-to-come 2790WX) , AMD has just given you a cherry for the top of your sundae. A new piece of software called Dynamic Local Mode will boost performance on some tasks by rerouting loads in Windows. 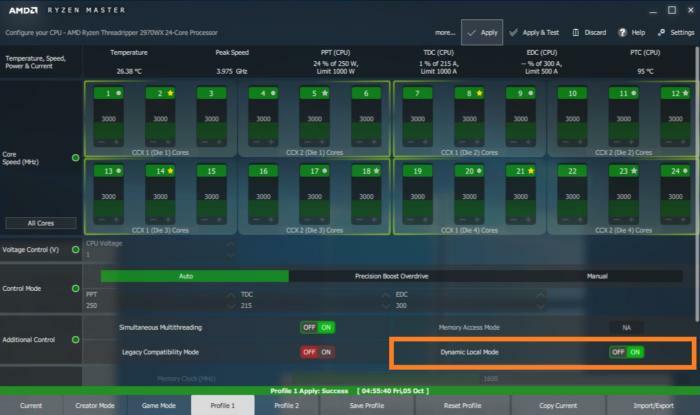 Robert Hallock of AMD introduced Dynamic Local Mode in a blog post on Friday. Dynamic Local Mode was created to address a specific performance characteristic of Ryzen Threadripper. 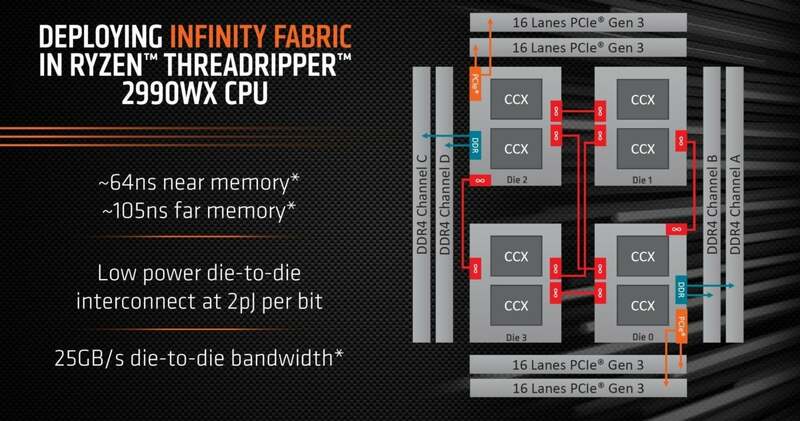 Instead of a single chip, AMD's massive 32-core and 24-core Threadripper CPUs are built by connecting four dies using a high-speed fabric interface. Two of the dies have their own memory controllers, and two are pure compute chips which must access memory through the adjacent die. On AMD's 32-core and 24-core Threadrippers the pure compute dies must access RAM through an adjacent chip that has its own memory controller. While many workloads don't care, those that are memory latency-intensive can take a hit. In some apps, the design can lead to performance degradation, which can now be fixed with Dynamic Local Mode. Hallock explains how the software works in his blog post. "Dynamic Local Mode is implemented as a Windows 10 background service that measures how much CPU time each thread on the system is consuming. These threads are then ranked from most to least demanding, and the top threads are automatically pushed to the CPU cores that contain direct memory access." Dynamic Local Mode does its best to juggle workloads without dropping anything important, Hallock continued. "Once these cores are consumed by work, additional threads are scheduled and executed on the next available CPU core. This process is continuous while the service is running, ensuring the most demanding threads always get preferential time on cores with local memory. (As a corollary, insignificant threads are pushed to other dies.)" AMD said the mode will be integrated into a version of its Ryzen Master utility that's scheduled to be released October 29. Dynamic Local Mode doesn't require rebooting to turn on and doesn't appear to disable cores to run. "Threads will always fill the nodes with local memory first, but this is a first-come, first-served affair in Windows that sometimes results in threads being executed remotely from their memory footprint," Hallock wrote. "In such a system, some other mechanism is needed to preferentially execute threads on cores with local memory. Dynamic Local Mode is spiritually like Local Mode [a Ryzen Master feature created for the 1st Gen Ryzen Threadripper] in that it also endeavors to keep threads and their memory contents together." Before you get too excited, remember that this software works only on the upcoming 24-core Ryzen Threadripper 2970WX and the current 32-core Ryzen Threadripper 2990WX. Don't look for it to appear for your 16-core or 12-core part, because it won't.